Our sparkling wine fermented on cherries and pear. The early crispy Stevnsbær cherry is the ideal blend partner for the local pear Lucas variety to go into a cuvée with both lingering freshness and smooth wine character. The basic blend – called „Cuvée“ – ferments stepwise, according to the fruit specific optimum picking time on its own yeast from the orchard. 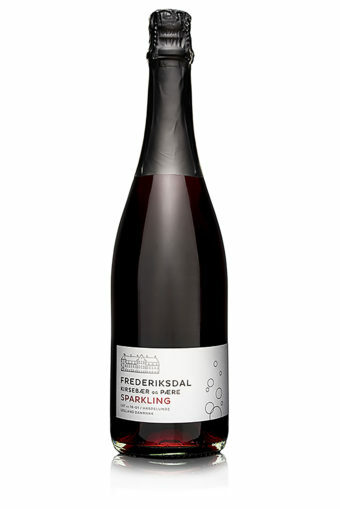 The ’Cuvée’ is a blend of 60% Stevnsbær cherry and 40% Lucas pear. After natural clarification by gravity the wine goes into the process of the second fermentation to create the bubbles and the character of a sparkling wine.